Draft: 2011, Boston Red Sox, 9th rd. Is married.....wife's name in Lindy.....the couple has a daughter named Ryann ... Graduated from Washington (OH) Senior High School.....also played basketball and football ... Attended Kent State University ... Is the son of former All-Star Jeff Shaw, who pitched in the majors with Cleveland (1990-92), Montreal (1993-95), Chicago-AL (1995), Cincinnati (1996-98) and Los Angeles (1998-2001) ... Is a fan of the Cleveland Cavaliers, Cleveland Browns and Ohio State Buckeyes ... Is an avid golfer.....follow him on Twitter (@travis_shaw21). Batted .241 with 32 HR and 86 RBI in a team-leading 152 games with Milwaukee ... Produced his second straight 30+ HR / 80+ RBI season ... Led the team in walks (78) ... Made 138 starts (99g at 3B, 36g at 2B, 3g at 1B) ... Prior to 2018 had never played second base at any level ... Made just 1 error at second base (8/8 vs. San Diego) for a .992 fielding percentage, which ranked fifth among Major League second basemen since 7/28 (his first game there) ... Was a Gold Glove finalist (at 3B) for the first time along with the Rockies' Nolan Arenado (winner) and Nationals' Anthony Rendon ... Smacked his first career pinch-hit homer on 7/29 at San Francisco off Sam Dyson (solo shot) ... Belted his second career grand slam on 8/4 vs. Colorado off Tyler Anderson ... Batted .267 (8-for-30) with 1 HR and 2 RBI in 10 games during the postseason ... Signed a 1-year contract on 1/11/19, avoiding arbitration. Batted .273 with 31 HR, 101 RBI and 10 stolen bases in 144 games during his first season with Milwaukee.....made 143 starts (142g at 3B, 1g at DH)...Was named Brewers Most Valuable Player and Top Newcomer as voted on by members of the Milwaukee Chapter of the Baseball Writers Association of America...Was the Brewers' nominee for the Hank Aaron Award...His 31 HR tied Eric Thames for the team lead and tied for 10th in the National League...Also led the team in RBI (101 - 9th in NL), doubles (34), hits (147), extra-base hits (66) and total bases (276)...His .975 fielding percentage (9 errors) ranked fourth among qualifying MLB third basemen...From 4/28-7/26 went 69 consecutive games at third base without committing an error, the second-longest streak in franchise history from that position (Don Money, 88g, 1973-74)... Was Brewers Player of the Month for May (24g, .333, 4hr, 18rbi), June (24g, .279, 8hr, 21rbi) and July (23g, .305, 7hr, 17rbi)...From 5/7-5/21 had a career-high 11-game hitting streak, batting .356 (16-for-45, 3hr, 11rbi) • Belted his first career grand slam on 6/3 vs. Los Angeles off Josh Fields... Smacked his first career walk-off homer on 9/23 vs. Chicago-NL with a 2-run shot in the 10th inning off Wade Davis.....gave the team a 4-3 win. Batted .242 with 16 HR and 71 RBI in 145 games with Boston during his first full MLB season...Made 127 starts (99g at 3B, 28g at 1B...Produced 5 RBI in a game four times, tying for the most such games in the majors ...Was traded to Milwaukee as part of a four-player deal on 12/6. Hit .270 (61-for-226) with 10 2B and 13 HR in 65 games with the Red Sox in his ML debut...His .487 SLG ranked 2nd among left-handed hitting rookies (min. 200 PA), percentage points behind CHC's Kyle Schwarber (also .487). BOS went 32-23 (.581) in his 55 starts between 1B (50) and 3B (5)...Also appeared once in LF. Played in 56 of the team's 58 games (51 starts) following 5th and final recall on 8/1. Hit all 13 of his ML homers from 8/1 on, posting a .275/.332/.507 line in that span (58-for-211, 10 2B, 13 HR, 36 RBI, 17 BB). His 13 HR ranked T-2nd among MLB rookies from August through the end of the season, 1 shy of MIN's Miguel Sano (14)...Among all left-handed AL batters, only BAL's Chris Davis and BOS' David Ortiz (17) hit more HR after July. Was the 10th Red Sox to reach 13 HR in his 1st ML season, 1st left-handed hitter since Sam Horn in 1987 (14 HR). Hit .329 (27-for-82) with 6 HR against left-handed pitching, including 16-for-42 (.381) from 9/7 on...His 6 HR vs. LHP were the most by any AL rookie who hits left-handed since Carlos Pena in 2002 (8). Led ML left-handed hitters with a 13.7 AB/HR ratio against LHP and ranked 2nd with 5.1 AB/RBI (min. 85 PA)...Led AL left-handed hitters in SLG (.622) and OPS (.975) when facing a LHP (min. 85 PA). Posted a .319/.364/.588 line at home (38-for-80, 5 2B, 6 HR, 13 RBI, 6 BB)...His .588 SLG was the best at Fenway Park by a 1st-year major leaguer (min. 125 PA) since Ted Williams in 1939 (.609). Of his last 9 HR beginning 8/17, 6 tied the game or gave BOS a lead...In that time, the only AL batters with more combined game-tying and go-ahead HR were Josh Donaldson (8), David Ortiz (7), and Miguel Sano (7). Went hitless in first 3 ML stints (0-for-9, BB)...First recalled from Triple-A Pawtucket on 5/8, debuted that day at TOR as the starting 1B (0-for-2, BB), and optioned following the game...Returned for 1 more game on 6/15 and entered defensively vs. ATL...Recalled for 3rd stint 2 days later and appeared in 4 games (1 start) before 6/27 option. Recalled for 4th stint on 7/7 vs. MIA and that night recorded 1st ML hits in his 1st career start at Fenway Park, singling in each of his first 3 AB...Went back to Pawtucket on 7/17 and returned to BOS for good on 8/1, taking over as the Sox' primary 1B following the trade of Mike Napoli to Texas on 8/7. Among AL rookies in August, ranked 2nd in SLG (.621) and HR (7), 3rd in AVG (.310), T-3rd in runs (17), T-4th in RBI (16), and 4th in OBP (.365)...Was the 1st Red Sox rookie with at least 7 HR in any month since Brian Daubach in August 1999 (7). Reached base in all 5 PA on 8/1 vs. TB, his 10th ML game (5th start), going 4-for-4, 5 R, 2B, 2 HR, 3 RBI, BB...Became the 1st Red Sox to score at least 5 runs in a game since Walt Dropo on 6/8/50 vs. STL...His 11 total bases in a game were most by a Red Sox within his first 10 ML appearances since at least 1914. His first 4 ML homers came in a pair of 2-HR games on 8/1 vs. TB and 8/14 vs. SEA, his 18th career game... Became the 1st ever Red Sox player whose first 2 games with a home run were both multi-HR games...Joined George Scott (1966) as the only Red Sox with 2 multi-HR efforts within their first 18 career ML games. Posted 4-hit games on both 8/1 vs. TB and 8/18 vs. CLE, his 22nd career game...Was the 1st Red Sox since at least 1914 to record multiple 4-hit efforts within his first 22 career ML games. His first 6 HR all came within his first 15 ML starts through 8/19. Served as Boston's No. 4 or No. 5 hitter in 37 of his last 38 starts from 8/22 on. Began the year with Pawtucket, seeing time at 3B (43 G), 1B (31 G), and LF (3 G)...Had a .298 AVG (48-for- 161) in his last 43 minor league games beginning 5/20. Led the Red Sox farm system with 21 HR in 128 games between Double-A Portland and Triple-A Pawtucket...Combined to hit .278 (136-for-490) with 29 2B, 2 3B, 21 HR, and 78 RBI in 128 games between the 2 stops...Had an overall .304 AVG and .926 OPS against right-handed pitching...Ranked 3rd in the system in RBI and was 4th in runs scored (78)...Appeared primarily at 1B (110 games)...Also saw time at 3B (12 games)...Began the year with the Sea Dogs, reaching base via hit, walk, or HBP in 40 of 47 games (85%)...Had a season-best 4 hits on 4/18 at New Britain (4-for-4, HR, 4 RBI)...Named organization's best minor league hitter for May (.331, 9-for-118, 8 HR)...Homered in 4 of his last 8 Double-A games before 1st promotion to Triple-A on 5/26...Finished the year with the PawSox...At time of 5/26 promotion, ranked among Eastern League leaders in HR (3rd, 11), BB (3rd, 29), OBP (8th, .406), SLG (6th, .548), and OPS (5th, .954)...From 6/25-7/25, hit .337 (34-for-101) with 10 2B, 6 HR, and 23 RBI for the PawSox...In that stretch, T-2nd in the IL in HR and ranked 4th in XBH (16)...Reached base safely in 24 consecutive games from 7/1-30 (.333, 30-for-90, 14 BB, .419 OBP)...Helped the PawSox to the Governors' Cup title...Appeared in all 9 of the club's playoff games, batting .306 (11-for-36) with 2 2B, 2 HR, 4 RBI, and 6 BB...Includes 3-for-4 effort with a HR in the Triple-A Championship Game. Tied for 3rd in the Red Sox farm system with 16 homers, matching the most on the Sea Dogs...Finished 5th in the Eastern League with a team-high 78 walks...Reached safely via hit, walk, or HBP in 97 of 127 games...Led the Sea Dogs with 111 games at 1B…Also played 4 games at 3B and appeared 12 times as DH...Topped Double-A batters with 23 walks during the month of April...Hit all 16 homers in his last 100 games beginning on 5/7, tied for 7th most in the EL in that time...Notched a pair of season-high 4-hit games on 5/16 at New Hampshire and 8/13 at Altoona...Had season monthly highs with 25 hits, 4 homers, and 16 RBI in June...Clubbed a season-high 2 homers on 7/2 vs. Trenton and reached in all 4 PA (2-for-2, 2 HR, 2 RBI, 2 BB, SB)...Reached base safely in his 1st 24 games of the season from 4/4-5/2…In that time hit .259 (22-for-85) with 8 doubles, 10 RBI, 25 walks, and a .429 OBP...Hit a grand slam on 6/30 vs. New Hampshire as part of a season-high 5-RBI effort...Went 3-for-4 with a solo homer as Portland defeated Harrisburg on 7/27 at Fenway Park...Following the season, helped Surprise to the Arizona Fall League championship…Led AFL qualifiers with an average of 12.2 AB/HR, and ranked among AFL leaders in AVG (6th, .361), homers (T-2nd, 5), RBI (3rd, 19), OBP (5th, .452), SLG (2nd, .705), OPS (2nd, 1.157), extra-base hits (5th, 11)...Following the season, named to the AFL's Top Prospects Team...Earned AFL Player of the Week honors for 12/5-11 (.538 AVG, 7-for-13, 2 2B, HR, 2 RBI, 5 BB). Combined to bat .287 (133-for-464) with 44 doubles, 3 triples, 19 homers, 85 RBI, 80 walks, 82 runs, and 12 stolen bases between the Salem Sox and Sea Dogs...Led Red Sox minor leaguers with in doubles and finished among organizational leaders in RBI (2nd) and home runs (T-4th)...Began the year with Salem and placed 3rd among High-A qualifiers with a .957 OPS...Led the CL with a .411 OBP and .545 SLG, while ranking among league leaders in AVG (4th, .305), extra-base hits (T-2nd, 50), RBI (4th, 73), walks (3rd, 59), and AB/HR (3rd, 22.1)...Went a combined 5-for-8 (.625) with the bases loaded, including a grand slam on 5/9 vs. Potomac...Named Batter of the Week in the CL for 5/29-6/3 after going 10-for-25 (.400) with 7 runs and a league-leading 4 homers, 11 RBI, and 24 total bases...Named MVP of the California-Carolina League All-Star Game on 6/9 after knocking a 2-run homer...Reached safely via walk or hit in 27 of 31 games for Portland after early-August call-up. Also ranked among team leaders in games (T-3rd, 57) and hits (T-2nd, 53)...Batted .379 (11-for-29) with runners in scoring position and 2 outs...Named the New York-Penn League Batter of the Week for 6/27-7/3 after setting a Spinners single-game record with 10 total bases (4-for-4, 3 2B, HR, 5 RBI, 2 BB, 3 R) on 7/2 at Connecticut...Placed on the DL on 8/1 with a left shoulder strain and returned on 8/12...Transferred to Single-A Greenville on 9/4 with 2 games left in the season. June 13, 2017 Milwaukee Brewers activated 3B Travis Shaw from the bereavement list. June 9, 2017 Milwaukee Brewers placed 3B Travis Shaw on the bereavement list. June 7, 2017 Milwaukee Brewers activated 3B Travis Shaw from the paternity list. June 5, 2017 Milwaukee Brewers placed 3B Travis Shaw on the paternity list. December 6, 2016 Milwaukee Brewers traded RHP Tyler Thornburg to Boston Red Sox for RHP Josh Pennington, SS Mauricio Dubon, 3B Travis Shaw and Player To Be Named Later. October 29, 2015 Cangrejeros de Santurce released 1B Travis Shaw. October 29, 2015 1B Travis Shaw assigned to Cangrejeros de Santurce. August 1, 2015 Boston Red Sox recalled 3B Travis Shaw from Pawtucket Red Sox. July 18, 2015 Boston Red Sox optioned 1B Travis Shaw to Pawtucket Red Sox. July 7, 2015 Boston Red Sox recalled Travis Shaw from Pawtucket Red Sox. June 27, 2015 Boston Red Sox optioned 1B Travis Shaw to Pawtucket Red Sox. June 18, 2015 Boston Red Sox recalled Travis Shaw from Pawtucket Red Sox. June 15, 2015 Boston Red Sox optioned 1B Travis Shaw to Pawtucket Red Sox. June 14, 2015 Boston Red Sox recalled Travis Shaw from Pawtucket Red Sox. May 9, 2015 Boston Red Sox optioned 1B Travis Shaw to Pawtucket Red Sox. May 8, 2015 Boston Red Sox recalled Travis Shaw from Pawtucket Red Sox. March 18, 2015 Boston Red Sox optioned 1B Travis Shaw to Pawtucket Red Sox. November 20, 2014 Boston Red Sox selected the contract of Travis Shaw from Pawtucket Red Sox. September 3, 2014 Pawtucket Red Sox activated 1B Travis Shaw from the temporarily inactive list. August 29, 2014 Pawtucket Red Sox placed 1B Travis Shaw on the temporarily inactive list. 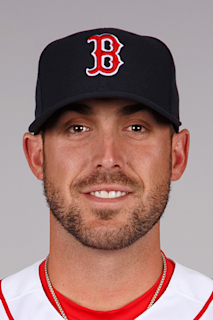 May 26, 2014 1B Travis Shaw assigned to Pawtucket Red Sox from Portland Sea Dogs. February 10, 2014 Boston Red Sox invited non-roster 1B Travis Shaw to spring training. March 15, 2013 1B Travis Shaw assigned to Boston Red Sox. August 1, 2012 1B Travis Shaw assigned to Portland Sea Dogs from Salem Red Sox. April 4, 2012 Travis Shaw assigned to Salem Red Sox from Greenville Drive. September 4, 2011 Travis Shaw assigned to Greenville Drive from Lowell Spinners. June 14, 2011 Travis Shaw assigned to Lowell Spinners. June 13, 2011 Boston Red Sox signed 3B Travis Shaw.